Who is Porridge and Rice? A lot has happened since Porridge and Rice was founded, nearly 2 years ago. It has been a wonderful journey which has shaped the charity into what it is today. Given the many developments in the charity, it seems a good time for an update. According to the UN, nearly 1 billion people in the world still live in extreme poverty, many in East Africa. Extreme poverty is defined by the Sustainable Development Goals as a family living on less than 80 pence a day. Families in extreme poverty suffer chronic hunger and malnutrition, struggle for accommodation and essential services like clean water, and lack access to sanitation and health care. The children suffer impaired physical and cognitive development, and are trapped in a life of poverty and deprivation, in fact, 20% of children born in the slums do not make it past their 5th birthday, dying usually because of diarrhoea. The first of the 17 Sustainable Development Goals is to end poverty in all its forms everywhere. This goal is broken down by the UN into several aims, one of which is to eliminate extreme poverty by 2030. Given the progress made in the last 10 years, this seems like a realistic aim. 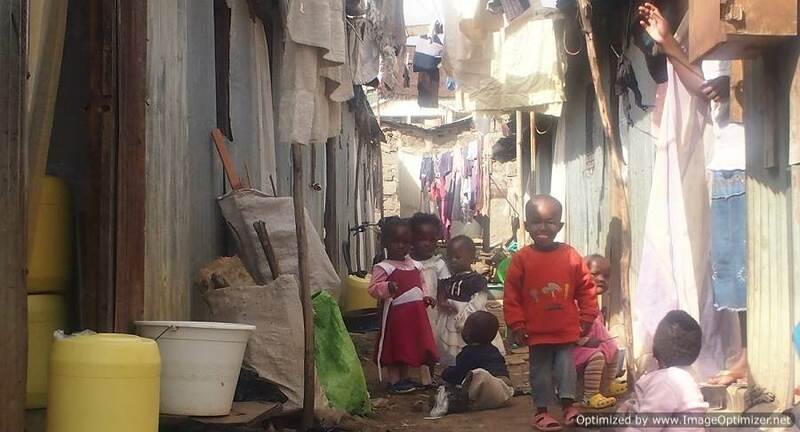 Porridge and Rice is committed to the fight against extreme poverty in the Nairobi slums, along with the 16 other Sustainable Development Goals. Not only does education provide people with the skills to break free from poverty, but it enables them to improve their own communities. It is through education that people can be taken permanently out of the cruel cycle of deprivation. 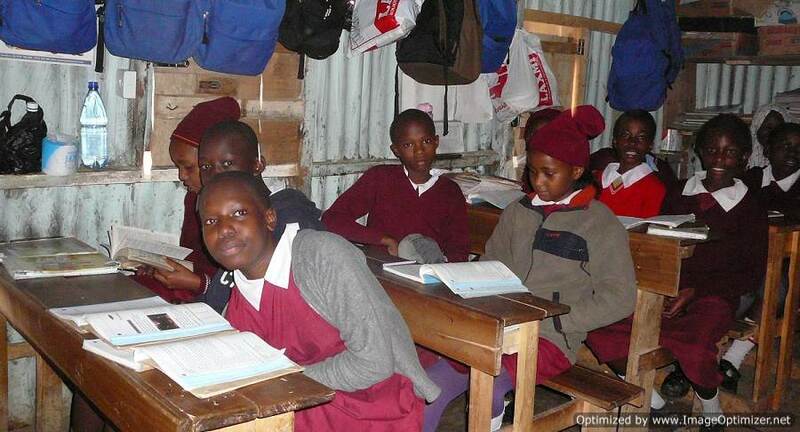 While primary education in Kenya is officially free, there are not enough places for all primary age children, and the people of the slums do not have the influence to secure a place in the state sector so they turn to informal schools. Informal schools are set up by dedicated people and charge a fee which is low in Western terms but a considerable amount when the family is living on less than 80p a day. Porridge and Rice identifies well run informal schools that are receiving no external support and teams us with them to remove the barriers to education while at the same time providing the resources to enable education. The goal of Porridge and Rice is to give every child as good an education as possible regardless of family income. Currently, the charity partners with 5 schools representing 2000 pupils. This has grown from 250 in February 2014, and is expected to increase to 2500 with the addition of another another school in February 2016 to the Porridge and Rice team. Porridge and Rice adopts a holistic, human-rights-based approach to education. In effect, anything that affects the effectiveness of education is considered relevant to the work of Porridge and Rice. Education is more than text books, and classrooms. A sick child will be absent from school. A menstruating girl without sanitary pads will stay at home. A hungry child cannot concentrate. An untrained teacher will not be able to conduct the most effective lessons. The work of Porridge and Rice is organised into 6 programs which cover a wide range of issues from health and hygiene to human rights. In respect of human rights, Porridge and Rice is very active in areas such as combatting child marriage, Female Genital Mutilation, and discrimination against women and girls. Human rights are important because, for example, girls that are married early frequently drop out of education to care for their husbands and raise children. They are robbed of the chance to develop their full potential, and as husbands are frequently much older than them, are often left unable to support themselves and their children when widowed. Porridge and Rice is committed to promoting the rights of the child and human rights as outlined by the UN. Kenya is a signatory to all relevant agreements. 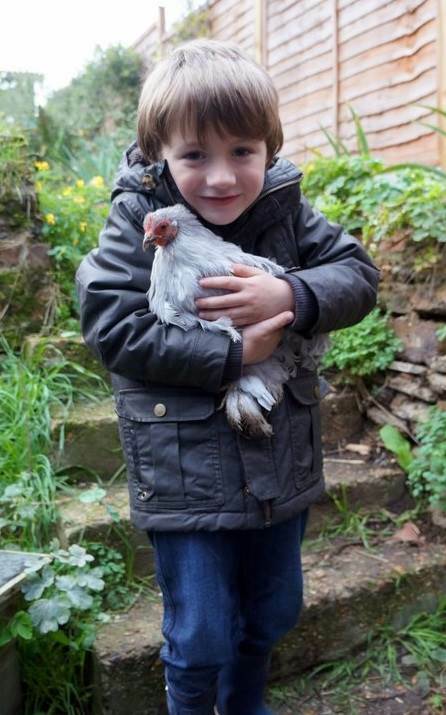 The work of Porridge and Rice embraces a wide range of activities ranging from keeping chickens to fund the schools to sponsoring children whose parents cannot afford the school fees as a result of illness or hardship. An unmotivated child will not learn effectively so Porridge and Rice supports extracurricular activities for pupils. A malnourished child will suffer cognitive impairment so Porridge and Rice ensures children receive the minerals and vitamins required for healthy development. Menstruating girls without sanitary toiletries stay at home and miss school so Porridge and Rice provides free sanitary pads to all menstruating girls and female staff. Children cannot practice reading without a library so Porridge and Rice is setting up libraries in each of its school. Basically, if it affects a child's education directly or indirectly, it is of concern to Porridge and Rice. 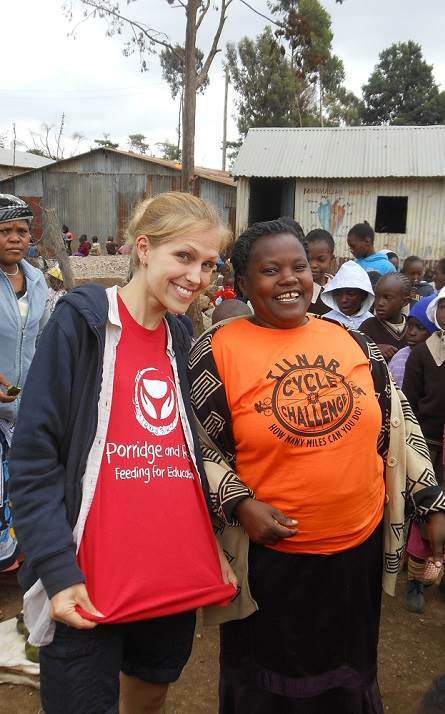 All girls at Porridge and Rice schools now receive free sanitary pads each month. The distribution of free sanitary pads was launched in September at 3 of 4 schools. The 4th school, Heri Junior, has now been added. This month, the distribution of the free sanitary pads has been expanded to include all female staff. Once again, the Porridge and Rice Petting Day on 1 November was well attended with the baby chinchillas being very popular. 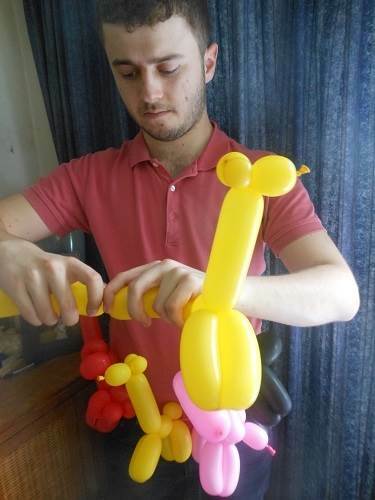 There were fresh cakes and homemade jam for sale, as well as balloon animals to purchase. Thank you to everyone who attended and helped to make the day such a huge success. The Tilnar Cycle Challenge is approaching quickly with an exciting twist this time. The primary and secondary school each with the largest number of participating entrants will receive a cheque for £500. The prize is sponsored by Porridge and Rice. The entrance fee for school children is £4.95. Porridge and Rice has a stand at the Homelink Fair on 29 November with hedgehogs, balloon models, and fun games for children. Porridge and Rice will be giving out free balloon models to Mosaico lunchtime customers on a number of dates from November through to December. Mosaico is an avid supporter of the charity. 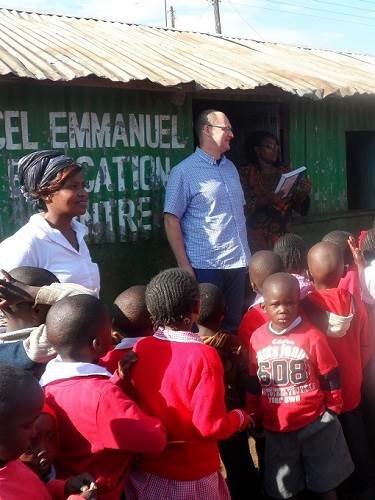 Toby Armstrong, a Porridge and Rice supporter, visited Kenya on business and took the time to visit Excel Emmanuel. 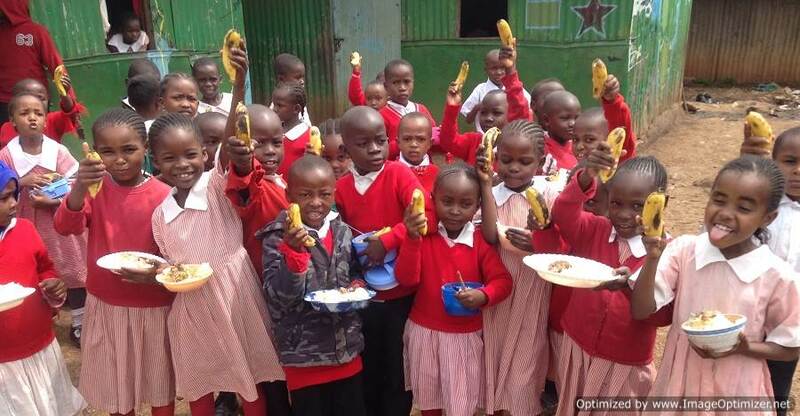 The schools in Kenya love having visitors. He received the standard warm Kenyan welcome. He kindly took some aprons and a maths book needed by Porridge and Rice schools.